Over the next two weeks, the Black Lives Matter movement in Chicago will continue to protest the police execution of Laquan McDonald and the year long cover-up of his killing. Mayor Rahm Emanuel will pressure Police Superintendent Garry McCarthy and States Attorney Anita Alvarez to resign. Both will dutifully agree to be thrown under the bus, while the Mayor will hope no one notices that he was involved in fighting the release of a video showing Police Officer Jason Van Dyke shooting Laquan McDonald twice in the middle of the road and fourteen times while still alive on the ground. As we all know now, the video was not released and the policeman not even charged before Rahm Emanuel was reelected mayor and not for more than 400 days after the killing. Neither Chicago nor Illinois law allows for the recall or impeachment of a politician. The people of Chicago will have to force Mayor Rahm Emanuel to resign. While Ferguson and Baltimore were burning, the Chicago Police Department (CPD) presented the false front of a “professional” police force to the world. Now people are paying attention to the CPD record of 400 police shootings since 2007, more than one a week, with only one shooting considered unjustified by the mayor-selected “Independent” Police Review Board. Even before the Mayor’s reelection, there were signs that the CPD had an ongoing record of violence and detention policies that were not being addressed. 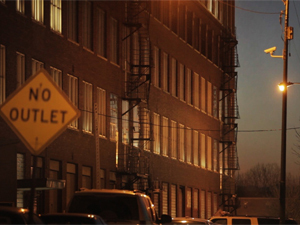 It took a newspaper from the UK, the Guardian, to break the story in February of the CPD “black site” in Homan Square. The Guardian documented nine cases of suspects being held and interrogated for hours without being able to notify their families or lawyers. In these cases, the suspects’ families and lawyers did not even know where they were being held. What did the Mayor say about this Guardian investigation at the time? That’s not true. We follow all the rules. There has been no action or investigation of the Homan Square facility even with a follow-up Guardian article from October with added information from a transparency lawsuit against the city. Police “disappeared” more than 7,000 people [nearly 6,000 are black] at an off-the-books interrogation warehouse in Chicago, nearly twice as many detentions as previously disclosed, the Guardian can now reveal. Neither the Mayor’s Office nor the US Justice Department has responded for calls for an independent investigation into the Homan Square facility. 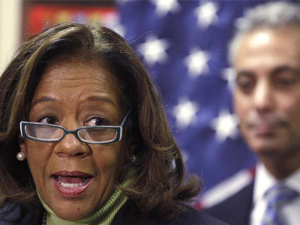 There are many reasons for Mayor Rahm Emanuel to resign. There was his closing of five mental health clinics in minority neighborhoods in 2012; the fifty public schools in black and Latino areas his hand picked Chicago Public Schools Board closed in 2013; and the indictment of his chosen CPS CEO Barbara Bryd-Bennett for corruption earlier this year. So much more could be added to this list. But the Mayor’s presiding over and covering up the disappearance of 7,000 police suspects as well as the execution of Laquan McDonald in the street by Patrolman Jason Van Dyke should be enough to demand #ResignRahm. Previous articleHappy Thanksgiving Mr. Trump! Yes they all should resign. Especially the mayor.